​Transfer orders now with free shipping worldwide! This extra value set contains 44 shields and a Raven Flag. 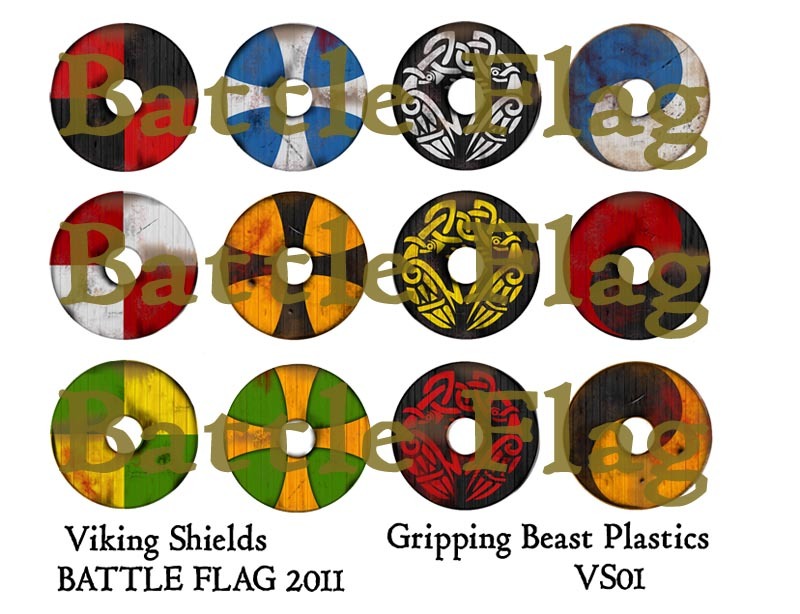 Specially designed to allow you to complete a full boxed set of Gripping Beast Plastic Vikings or similar. 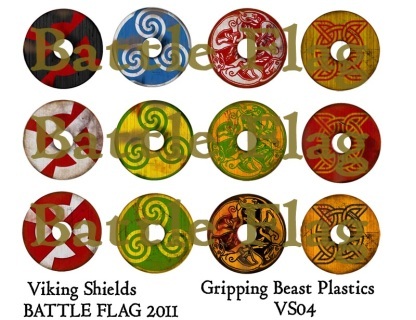 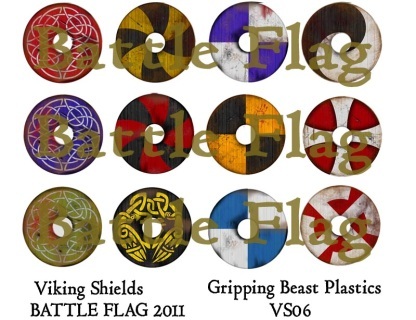 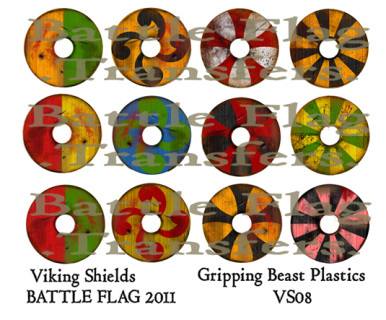 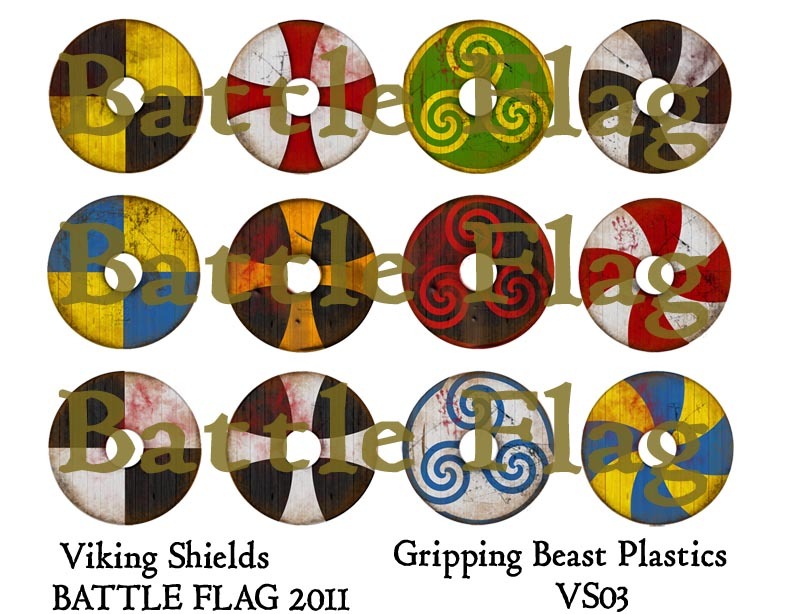 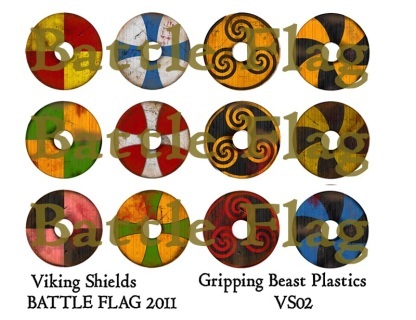 Ubbe the son of Ragnar Lodbrok Viking Hearthguard Warband Shield Decals and Flag. 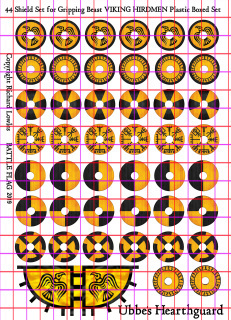 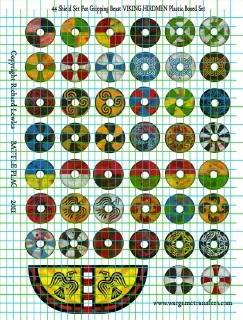 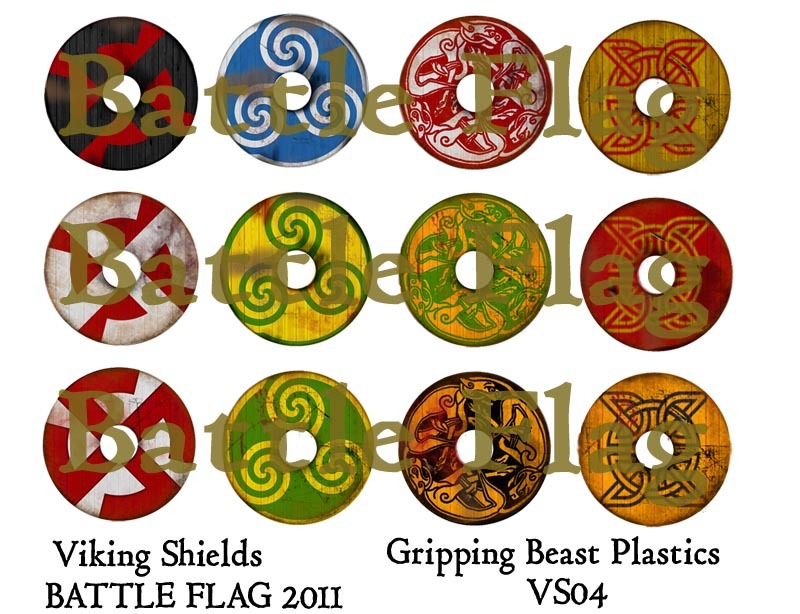 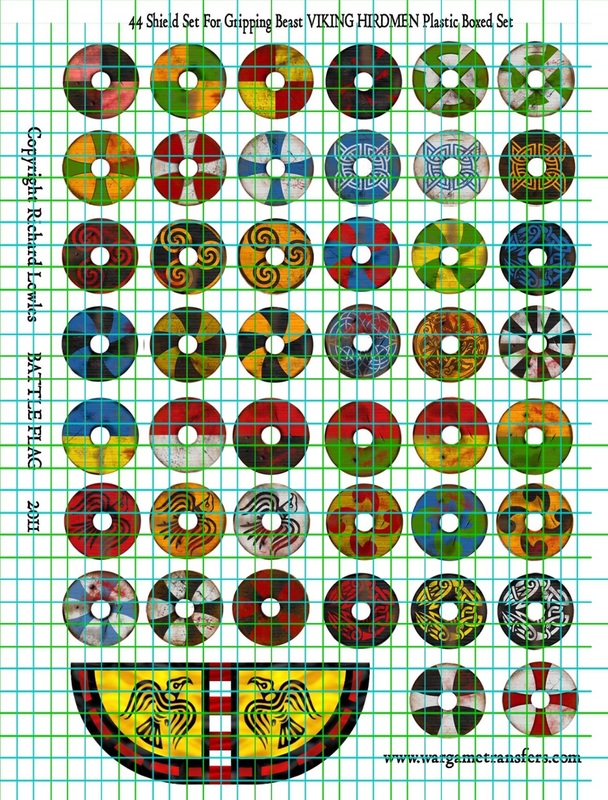 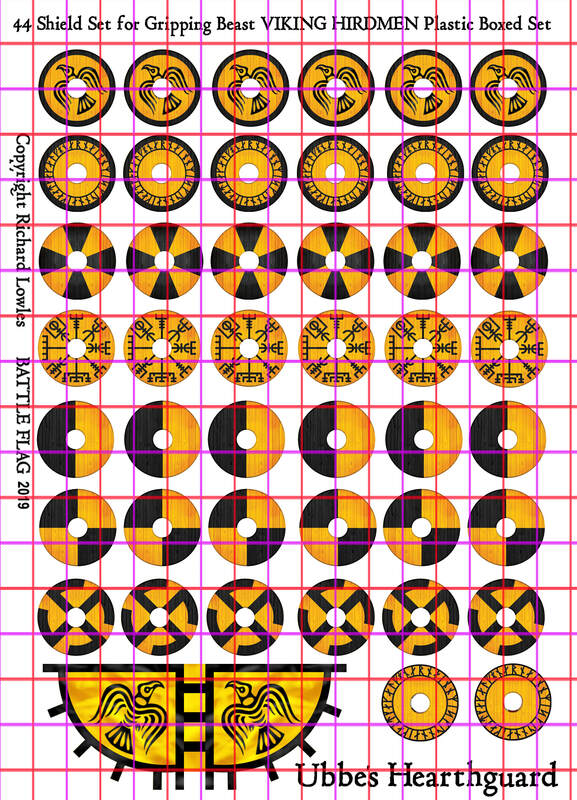 These will fit 13.8mm diameter shields and will fit Gripping Beast Plastic Viking Shields perfectly. 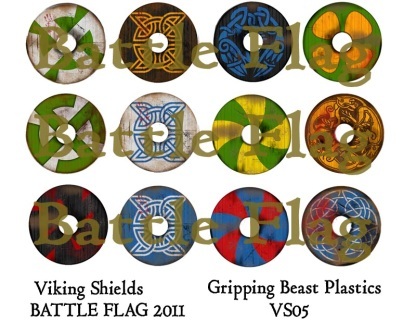 These will fit 13.8mm diameter shields and will fit Gripping Beast Plastic Viking Shields or Crusader Miniatures perfectly. 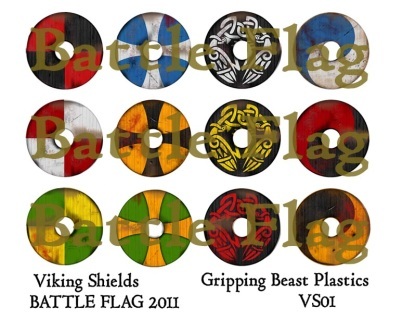 Please specify Gripping Beast or Crusader on order.